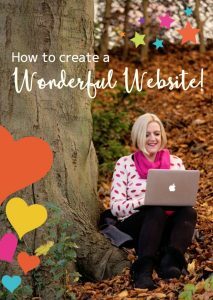 Learning your way around your website takes time – as does any new skill for any novice. And as your WordPress/website building knowledge grows, so too will your confidence. But very often, all it takes is a spotting of technical terms or a jumble of jargon to put a chink in your technical confidence, and you start to doubt your web skills. Did you know, though, that many of the geeky terms associated with websites/web development/design are not as scary as you might think? Some are pretty simple to understand, actually. So in an attempt to stop that thinking and doubting in its tracks, here are my very basic explanations of some of the techie web terms you might come across. This is the part of your website that is hidden from regular visitors. So if people talk about the back end, working on the back end, or getting help to manage the back end, it’s more to do with the information structure, applications, techy stuff, and management systems than your website’s shop front. the total amount of data a web host will transfer each month (or week or quarter) before additional charges are incurred. When someone clicks on the home page of your website and leaves from the home page (without clicking through any other pages) this is known as a bounce. When this bounce is changed into a percentage, it is known as your bounce rate. If you want to improve your bounce rate you could try to make your website navigation better. This is the programme a visitor uses to view your website. It could be Google Chrome, Opera, Safari, Firefox, or Internet Explorer (or a whole cast of others!). Each web page is made up of files and every time you visit a web page, those files are downloaded and saved on your PC – this is known as being ‘cached’. It’s designed to help speed up your browsing instead of having to download something every single time you visit that page. A domain (or domain name) is the individual name by which a website is recognised. My domain name, for example, is www.happyheartonline.co.uk and it is associated with a specific IP address (which allows one computer or digital device to use the internet to communicate with another). E-commerce refers to the buying and selling of goods and/or products via websites/online. Web pages are written in HTML (a specially designed computer code/language). This makes sure that text, images and particular styles are formatted correctly and look good on the web page. When hypertext is transferred between a web browser and server, it needs a set of rules – and that’s what HTTP is. This is HTTP with an extra layer of security. The ‘S’ denotes that the requests between browsers and servers are being carried out over a ‘secure’, encrypted connection. Always look for the additional ‘S’ on the HTTP web links if you’re using an e-commerce site, sharing your credit card details or making any kind of financial transaction, that way you will know the website is classed as safe. As referred to in the ‘Anchor Text’ explanation above, a hyperlink links one web page to another, either on the same site (internal link) or another site (external). They will appear in another colour (often blue) and be underlined, so you’ll notice any hyperlinks pretty quickly in a text-filled web page. That’s all the techie terms for this article. I hope it’s helped clear some of the fog you may have had about some of the jargon you come across online. Look out for part two in this series (techie terms made simple from L-Z) where I’ll be explaining everything from landing pages to web servers. I would love to hear from you if you have any specific terms you’d like an easier explanation of… I’m always happy to help. 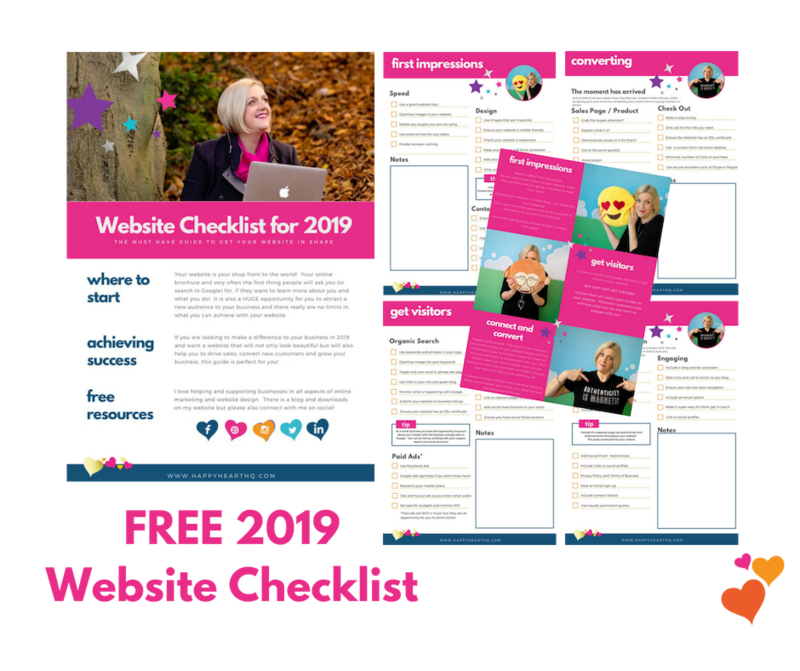 If you are looking to make a difference to your business in 2019 and want a website that will not only look beautiful but will also help you to drive sales, convert new customers and grow your business, this guide is perfect for you!